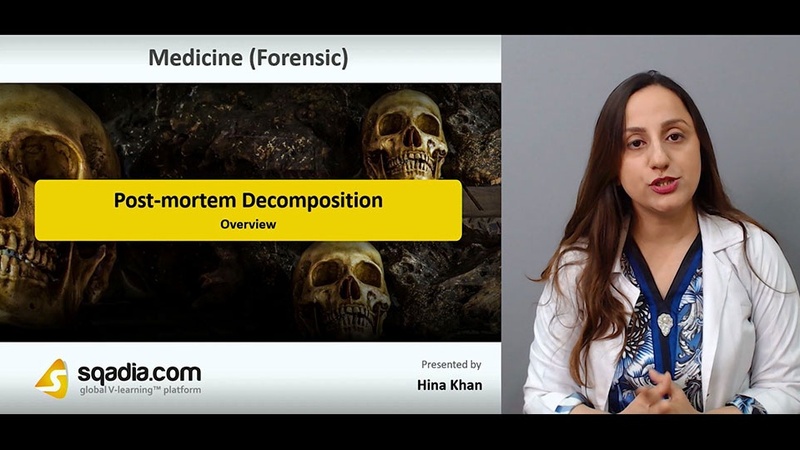 This lecture aims at conversing about the Post-mortem Decomposition. In the beginning, the educator has put forth an Overview. 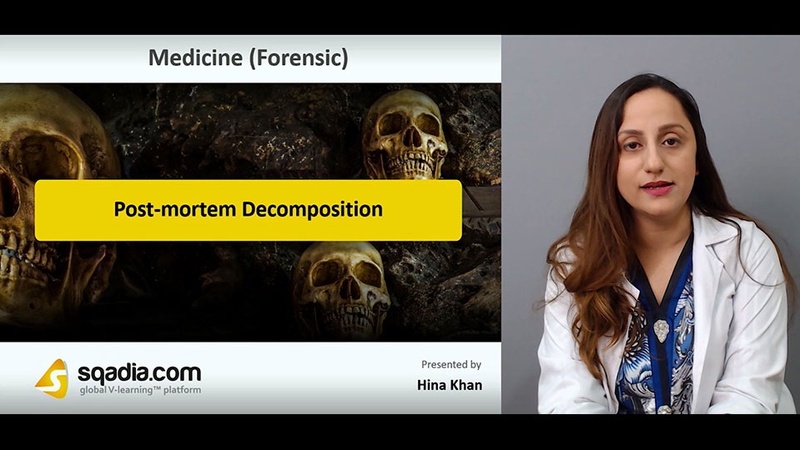 Firstly, the educator has defined the term Post-mortem decomposition, broadly. In addition to this, certain mechanisms of decomposition have been brought into consideration. This encompasses Putrefaction, Mummification, Formation of Adipocere and Maceration process. In the end, the educator has concluded by talking about the Putrefaction process. Section two elucidates the Putrefaction process. The educator started off by stating the Sequence of Putrefactive Changes, expansively. Moreover, the Factors Influencing Putrefaction process have been shed light on. In the end, the educator has summed up by a debate on the Timeline of Putrefaction progression. The key focus of section three is on the Adipocere. At the start, Adipocere has been defined as a chemical change in body fat. Following this, the process of Adipocere Formation has been delineated in the form of a flow sheet. Alongside this, Appearance of adipocere succeeded by the three stages of Adipocere Formation have been expounded. Conclusively, the educator has wrapped up by alluding to the Importance of Adipocere Formation. 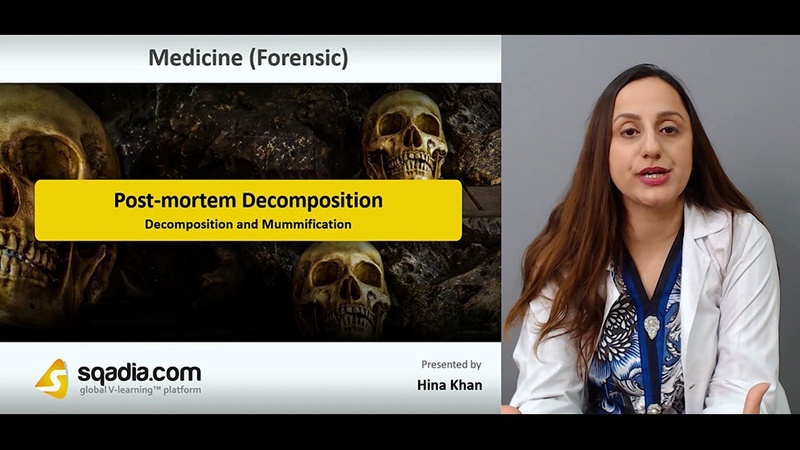 Section four accommodates Decomposition and Mummification. At the onset of this section, the educator has spoken about Decomposition in Immersed Bodies. This is followed by a debate on Decomposition in Buried Bodies, in-depth. Moreover, the Mummification has been extensively been explicated. In the end, the educator winded up by stating about its Medicolegal Importance. The focal point of section five is on the Skeletalization and Damage by Predators. The educator commenced by defining the term Skeletalization, meticulously. Later on, Post-mortem Damage by Predators has been suggested. Besides this, Type of Damage by Predators has been presented as well. 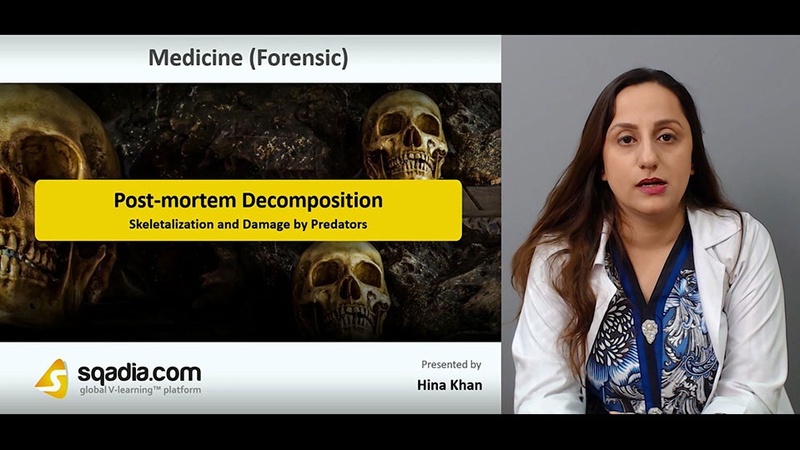 In the end, the educator has spoken about the Post-mortem Damage by Predators.